Our Pastor, Mark Promnitz, and his wife Pam have been serving the people of Southlake Fundamental Baptist Church in one capacity or another since 1985. Originally Pastor Mark served as the church Youth Director. He went on to serve as Visitation Pastor, Assistant Pastor, Bus Director and Deacon. Pastor Promnitz is a graduate of Hyles-Anderson College, where he received a Bachelor of Science Degree in Pastoral Theology in 1984. The church called Bro. Promnitz to pastor Southlake Fundamental Baptist Church in 1996, where he has served faithfully since that time. 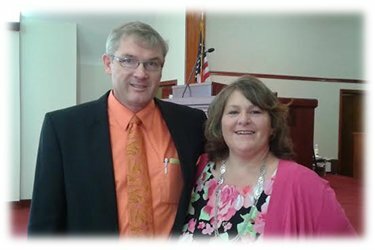 Pastor Mark and Pam have four grown sons and sixteen grandchildren. Three of their sons live locally and serve in the ministries with them here in Crown Point.